When we last saw Kylo Ren in Star Wars: The Force Awakens he had just killed his father, Han Solo, wounded Finn, and battled nearly to the death with The Scavenger, Rey. What can we expect from his path in The Last Jedi? Director Rian Johnson shared his thoughts in the latest issue of Entertainment Weekly. 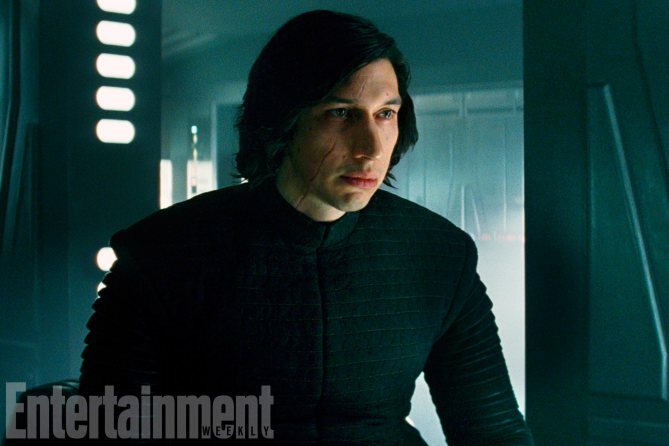 Johnson said Ben Solo’s shift to darkness is symbolic of “the treacherous road through adolescence” that Star Wars often explores. How does Rey see Kylo Ren? Gwendoline Christie’s merciless First Order officer Captain Phasma has a more significant role in The Last Jedi. How is Chewbacca dealing with the loss of his best friend, Han Solo? Johnson says things will be okay for him. Ultimately. You can read more at EW.com.